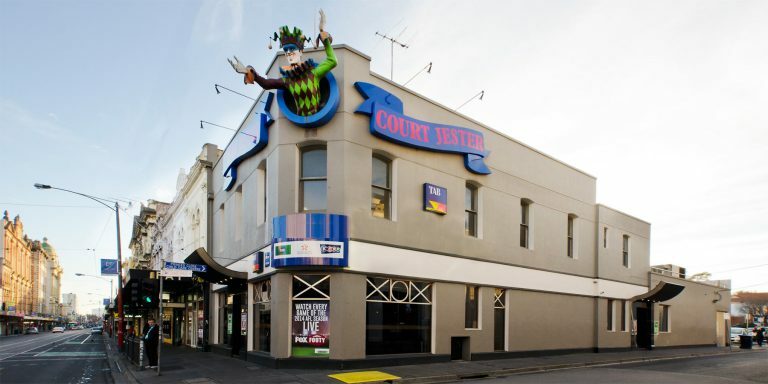 Prahran’s Court Jester has been a fixture of the bustling landscape of Chapel Street for decades. The hotel, known for its cosy Public Bar has recently undergone a significant renovation, now featuring a new TAB set up, high bars and lounge. Drop in anytime to enjoy a cold draught beer and warm hospitality. Courthouse Hotel conducts all aspects of alcohol & gaming service in a professional and responsible manner & actively promotes responsible gambling.